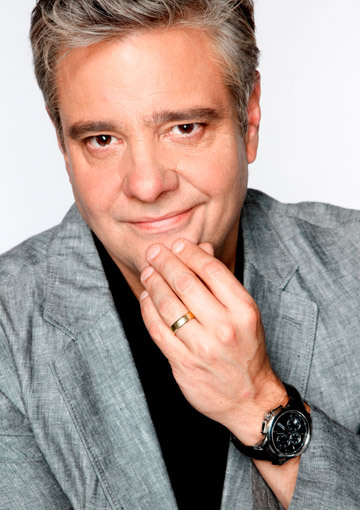 This week, my interview with two-time TV Quiz Show Champ (Australia’s Brainiest Comedian and Temptation‘s ‘King of Comedy’) Mikey Robins continues. And when we left our discussion about his win on Australia’s Brainiest Comedian last week, I’d just asked Mikey if he had any tactics or strategies (even if he was just making it up as he went along). This was his answer. MR: I suppose one thing was – to be serious for a second – go with your gut feeling, go with your instinct. As the question’s being asked, if you think you know it, if you hit the buzzer, and trust yourself, the answer will come. SH: That’s right. And don’t overthink it, and don’t second-guess. MR: Also, and this is a trite thing to say, and there’s a lot there on the line if you’re not doing it on a celebrity show, if you’re doing it as a contestant… Enjoy Yourself. If you’re having fun, the answers will come. If you start to worry, the brain will freeze. SH: What was the best thing about doing Australia’s Brainiest Comedian? MR: Winning! Winning, and the money that went to charity. MR: No. Basically because I was used to being on telly and because of Good News Week, I was used to coming up with the answers on short notice. SH: And the worst thing about doing Australia’s Brainiest Comedian? MR: There could have been more sandwiches. MR: You need to remember, this was when I was 140 kilos, this was back in my compulsive eating days. I would have liked more sandwiches backstage. SH: Sure. Any particular fillings? MR: I’m a big one for chicken, mayonnaise and iceberg lettuce, but that’s just me. SH: No, that’s Brain Food, that’s good. Now I think that might wrap it up for Australia’s Brainiest Comedian. In the same year, you also went on the Temptation comedy specials; I think they called it Temptation‘s ‘King of Comedy’…. MR: Yeah, by the time that had come around, I’d already won the Brainiest Comedian thing, and you know what comics are like. I’m not saying we’re competitive people, but… we’re competitive people. We’re not normal rational human beings. SH: (LAUGHING) No, I think that’s a fair assessment. MR: It was funny turning up in the Green Room, having won the other show. I was no longer the Dark Horse; I was the Favourite. SH: And were they intimidated by that? MR: No, but there were a couple I think who were pretty keen to take me down. SH: And with the format of the Temptation comedy special, how many heats did you have to win to take out the title? MR: I think I needed to get through two rounds to make it to the final spot. We shot the whole thing in one day. And it came down to me, Vince and Hughesy, and Hughesy’s a competitive little bugger. SH: Yeah, he’s pretty driven, isn’t he? MR: One thing I remember most is that he and I both wanted to win – Vince was just there for a chuckle – and he kept hassling me that I wasn’t buying enough stuff in the Gift Shop. So I kept buying stuff in the Gift Shop, because Hughesy was getting on my nerves. SH: And for your Home Viewer, you won a couple of cars, plus a whole lot of prizes, is that right? NOTE: The episode that we’re currently talking about, where Mikey does indeed become Temptation’s “King of Comedy” can be viewed right here. MR: Yeah, I remember there were cameras, I won them cash, I won them a trip to Vanuatu, and two Volvos. And the nicest thing was – because when you record it, of course you don’t know who your Home Viewer is – a few weeks later, after it had been to air, I received a lovely letter written in beautiful handwriting (that people of our generation or younger can not do) and it was this ‘Thank You’ letter from the couple who had won, who were a couple of self-funded retired teachers in rural Victoria. MR: So I won them two brand new Volvos, and they’d been driving the same Volvo for 25 years, and they needed a new car, so that was nice. And they hadn’t been on a trip for years and they got a trip to Vanuatu, and this woman wrote this lovely ‘Thank You’ letter. SH: Do you still have the letter? MR: It’s in my desk. SH: Right. But it’s in close proximity to the Temptation cup and the Australia’s Brainiest trophy where the ball’s fallen off? MR: Yes. Incidentally, the Temptation cup – I really like that one, because from a distance it looks like it could have been a sporting trophy, but sadly it’s not. SH: (LAUGHING) … to put there in The Cabinet of Fame! So did you do any preparation for going on Temptation? And that’s where we’ll leave it for this week. Next week, Mikey will answer that question, and (among other things) he’ll also give his Top 3 Tips for Game Show Success. So to be sure to check back in then, won’t you?